Welcome and brief presentation on who is MEBO Research, its latest developments this past year since last meetup in Washington DC, such as new directors, registering as Organization Members with NORD and EURORDIS, Institutional Review Board (IRB) to oversee MEBO’s current and future research studies, new TMAU test programs in the US and Canada. 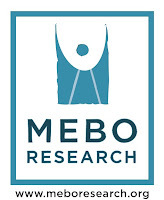 Goal to register MEBO UK as a charity. A handout packet of write-ups, reference links, and information on body malodor, halitosis, and bromhidrosis will be provided to attendees. Slideshow on "Dimethylsulfide and its relevance in blood borne malodor conditions"
Video on Aurametrix, a tool that can help sufferers understand their personal interrelationship with their diet, medication, daily activities, and body odor and/or halitosis conditions, as well as their mood and feeling of well-being, and thus, to gain greater control. Presentation on the MEBO-Menssana Alveolar Breath Study. 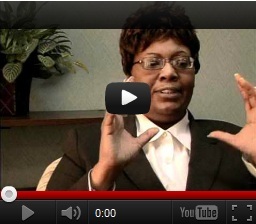 As a certified life-coach, do a presentation on ways to improve quality of life for sufferers. Presentation and Q&A session on employment, workplace, etc., with handouts. Presentation on Raising Awareness Campaign: Ground-breaking accomplishments in the UK regarding the ten body odor questions on “Nutritional metabolic and endocrine disorders > TMAU” were published in the Database of Uncertainties about the Effects of Treatments (UK DUETs), of which six (6) of these listed uncertainties have referenced their source to MEBO Research (see, "View Details of each question"), and four (4) of them reference the source to the DUETs Editorial Team. Brief report on the new MEBO Members area explaining what will be included Questionnaire to assist him in developing a new MEBO Membership area. The questionnaire will provide feedback from potential members on what they think is appropriate or inappropriate content in a Member Registry. SUPPORT THE MEBO MISSION: Click Amazon button at right sidebar of this blog when shopping online for the holidays at no extra cost to you. MEBO gets small commission from Amazon. Please use your credit card to make your donation to MEBO.